We welcome this review from Tanglewood by guest contributor Seth Arenstein. When prominent soloists, cast in the role of musical heroes, overshadow a concert program, smaller pieces may receive less attention, perhaps even diminished rehearsal time. Fortunately the Boston Symphony Orchestra played all three works on its Sunday matinee at Tanglewood -- Haydn’s Symphony No. 90, Brett Dean’s Dramatis personae for trumpet and orchestra, and Strauss’s Don Quixote -- during this past season and will take them to Europe later this summer on tour. The Dean and Strauss were in fine shape, and the Haydn was a revelation. 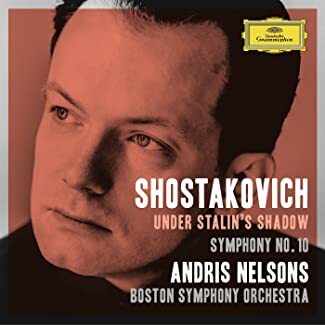 Another musical hero this day was Andris Nelsons, making his Tanglewood debut as the BSO’s music director during these weekend concerts. At 36, the Latvian conductor led with infectious energy, and both his musicians and the overflow audience clearly adored him. (As reported by Jeremy Eichler this morning, Nelsons has extended his contract in Boston through 2022.) Nelsons’ playful Haydn was tempered effectively with deliberate styling. Brass fanfares were triumphant without being overbearing. String tuttis were shapely yet controlled, affording principal flute Elizabeth Rowe and assistant principal oboe Keisuke Wakao ample room to shine in solo passages. An animated presence on the podium, Nelsons was pure entertainment during the Menuet, putting down his baton and straddling the podium with his left hand. Just before the finale’s coda, he seemed to revel in surprising the audience into premature applause, expertly executing one of Haydn’s musical jokes. Dean’s Dramatis personae is an energetic showpiece, composed in 2013 for Håkan Hardenberger, who also took the solo part in this performance. In the first movement, Fall of a Superhero, after a soft percussion ostinato featuring wood blocks, Hardenberger joined the raucous proceedings with rapid-fire notes, wide intervals, and raspy flutter-tonguing. The music eventually became slow and mysterious, Hardenberger’s trumpet smoothed by a cup mute. With music from the frenzied opening returning, the trumpet emitted a series of high shrieks before ending on a growling glissando, descending to an exhausted whimper. Hardenberger’s silvery sound, mutes, tonguing styles, and growls highlighted the trumpet’s ability to produce an array of colors. Soliloquy, the soulful second movement, was notable for a moment of silence followed by a combination of chimes, celeste, and bells, creating an eerie pianissimo reminiscent of a film score about outer space. Charlie Chaplin’s Modern Times inspired the finale, The Accidental Revolutionary. Halfway through, Hardenberger, two other trumpets on either side of the stage, all using cup mutes, and the orchestra were juxtaposed against a small brass ensemble, which played a catchy march. At the end, Hardenberger and the two trumpets moved to the back of the orchestra, where he used a piccolo trumpet to create a chaotic counterpart to the march, reminiscent of the Rondo-Burleske in Mahler’s Ninth Symphony. After the dissonance of the Dean, Strauss’ often cacophonous Don Quixote seemed an almost timid finale. Soloist Yo-Yo Ma’s sweet bowing and irrepressible energy were a perfect fit to play the hero in Strauss’s ten musical variations. Yet the spirited playing of BSO principal viola Steven Ansell, as well as other principals, including trumpet Thomas Rolfs and concertmaster Malcolm Lowe, was a reminder that Nelsons has a potent ensemble at his disposal. Appropriately he asked each to take solo bows.